AirAsia introduces a brand new inflight meal, Lil’ Star Combo, specially created to suit the taste buds of young flyers. 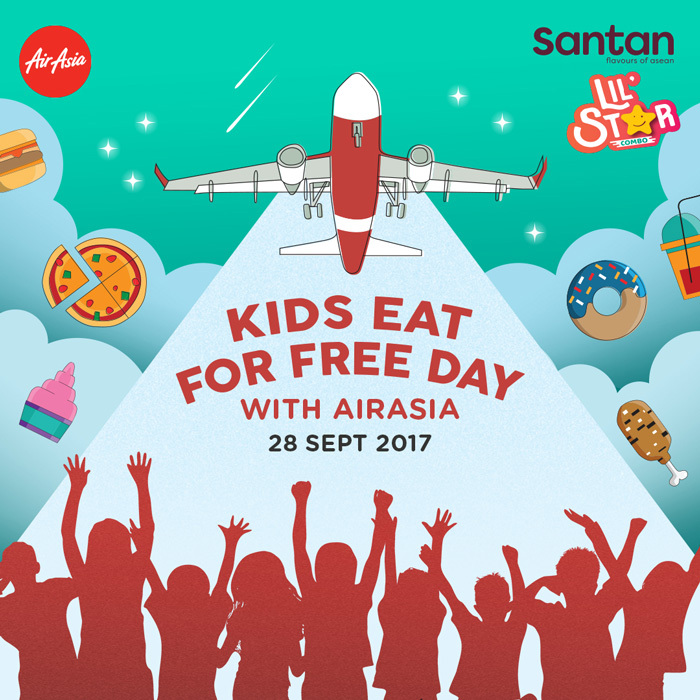 To celebrate the launch, all kids aged 2 to 12 flying with AirAsia on 28 September 2017 will receive a complimentary Lil’ Star Combo meal, while stocks last. Guests travelling with their little ones on other dates are able to pre-book the meal for only PHP 180 on airasia.com. The combo meal includes a wholesome mini chicken pizza smothered in rich tomato sauce and chicken slices, topped with creamy mozzarella and cheddar cheese. The delicious meal comes with a pack of mini Oreo cookies and chocolate drink in a special snack box guaranteed to delight little travellers. The Lil’ Star Combo meal is also available in vegetarian version on AirAsia India flights. Keep updated with AirAsia’s latest promotion and activities via twitter @AirAsiaFilipino, Facebook facebook.com/AirAsiaPH and on Instagram @AirAsiaFilipino.